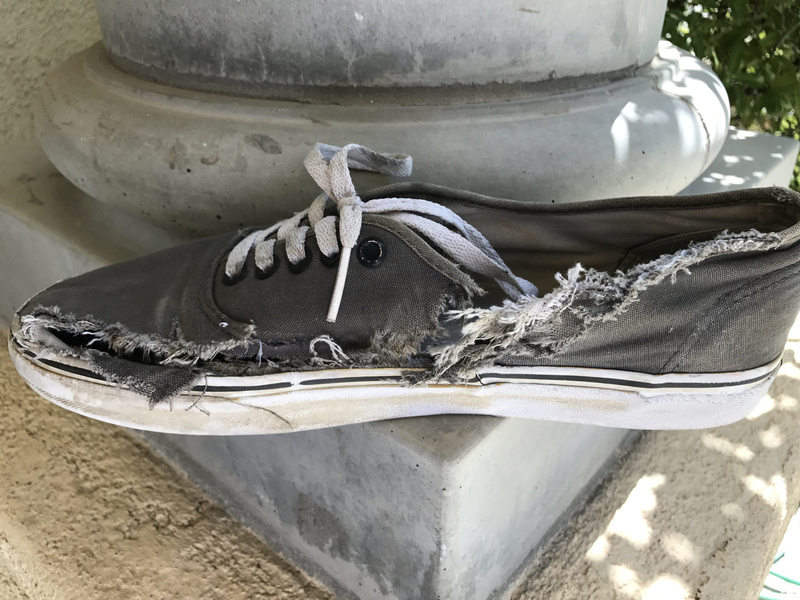 The shoe that our son was wearing. It seemed unimaginable. First came the phone call. The voice on the other end, desperate, screaming, crying, scared. It was a regular Saturday afternoon. A text inviting my son to go to the movies. He mentioned it to me and flat out said, “I don’t want to go.” I encouraged him to go and be sociable, be kind, do something other than staying at home and playing Xbox. So he obliged. My husband and I and our youngest son went out to dinner and visited my mother-in-law who at the time was in the fight of her life. She was battling one of many forms of cancers that would invade her body. It was a quiet day with not much fanfare. We went about our day and arrived home around 10p. My husband was getting our youngest son ready for bed, and I was wrapping things up in the office. The phone rang, and all I heard was my husband yell, “where are you?” And then he just left, ran out the door. Startled by all the commotion, I ran after him asking what was going on, “Robert’s hurt, I have to find him.” Immediately the phone rang again, and it was then I heard the desperate cries of my son pleading for help. It all started when my son suggested they go “egging” after the movies. She obliged. They parked his car away from our home so that we would not know that he was in the neighborhood. They started throwing eggs at the neighbor’s car. The neighbor came out, yelled at them, got in his vehicle and a car chase ensued. This led to my son panicking and asking to be let out of the car. What transpired afterward was life-altering. In her panic, she let my son out of the car without a complete stop. His right leg was caught in the rear wheel of her car, and she dragged my son and drove over his ankle, breaking it in half. Up to that point, we weren’t sure of the gory details of deceit that took place. Calling and asking if they could have frozen yogurt, parking the car away so if we got home we would think he was still out. and what that would mean moving forward. The officer approached us both and said that a crime had indeed been committed and that it was our decision whether we were to have the mom arrested and press formal charges. Arrested? Formal charges? A hit and run which is how the officer characterized the crime which is a felony in Los Angeles, CA punishable by one to three years in jail. She’s mom, a grandmother, someone from our church. Someone that cheered my son at most of his football games. Arrested? How did this happen? Who is this person? I recall sitting in shock, looking over at my husband, trying to process all the information the trauma surgeon had just shared with us, looking over at her daughter, hearing her weep, terrified on the outcome. My youngest son, laying in a row of seats crying. It all seemed like one big nightmare, and it was. Right then and there we needed to make the most critical decision of our lives, do we press charges and drastically change and devastate another family’s life, or do we extended grace. It was a moment that changed the trajectory of our home, our lives. It was a moment that proved that dads are superheroes and moms have strength beyond their wildest imaginations. The year that transpired after that moment was life-altering for the better. Our son’s resolved was shifted, our home was redefined…It was our moment to rise up and extend grace as much as it has been extended to us. It was a moment when who and what we believed in was tested beyond words. “There will be moments, moments that no one and nothing can prepare you for, that will truly take your breath away, but God holds you in.